BlackBerry Desktop Software 4.7 Available Now | BlackBerry Blast! 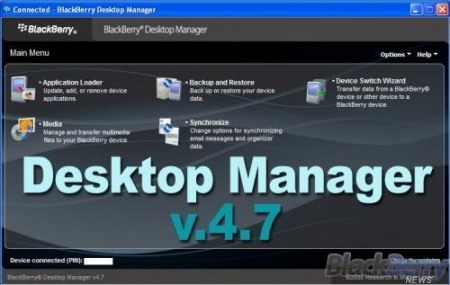 RIM has released the BlackBerry Desktop Manager Software version 4.7 on its web site. There are four download options available. You can choose to download the Desktop Manager 4.7 with or without languages other than English, and with or without the Media Manager. Check out the link below for the download.